For the purpose of supporting put away, picking and cross docking you may find cage labels helpful. 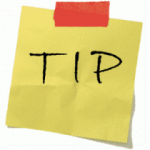 Either generate them from your channel system, use third party software or by purchasing them from Warewolf. Like location barcodes, we recommend protecting them using pouches. Of course, cages are fine for small and medium size products that aren’t too heavy. 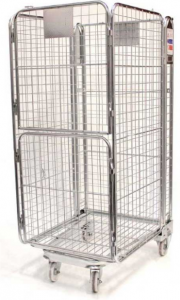 In your organisation you may well have your own take on cages. Since goods need to be moved from one place to another solutions include supermarket shopping trolleys, pallet trucks and forklift trucks. In addition to cages, solutions for holding the goods whilst being moved are cardboard boxes recycled from goods in, plastic crates and of course the wooden pallet.